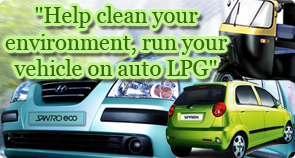 Home»Why Auto LPG»Why Should a Government promote Auto LPG? Auto LPG is, really, the most compelling and viable option that India has, over any other futuristic, cleaner fuel that may ever or rather, never come. While almost all alternate fuels have a role to play in providing our cities with a cleaner air, yet the same needs to be viewed from the prism of viability, ease of implementation and of course, well to wheel emissions. While CNG is certainly cleaner than most liquid fuels, yet many studies have well indicated that CNG is not really as clean as assumed, particularly when it comes to NOx emissions, which are extremely high for CNG vehicles. Also the high costs of installation of a CNG station, the huge costs of providing pipeline infrastructure are a huge detriment. Also, high filling times for CNG have been a detriment. Sir, it would not be out of place to mention here that a couple of our neighboring countries, who had all gone for the CNG way, have been rewinding their decisions and are now looking at Auto LPG. With almost 68% of Indian electricity being thermal produced, the ‘clean’ electric vehicle, may not be really as clean. For all the electricity that would be required to support the thrust to Electric vehicles, we may effectively be polluting one place while cleaner another – just shifting the environmental damage. Well-to-Wheel emissions, including that for coal, need to be considered. This is where Auto LPG plays a key role. Auto LPG is perhaps the ONLY viable solution which can make an impact on air quality, almost immediately. International studies have confirmed that Auto LPG does extremely well, particularly when comparing emissions for the two most harmful pollutants. NOx and HC. NOx emissions from Auto LPG are 90% lower than that of Diesel, 60% lesser than Petrol and about half of that of CNG. In fact, the HC emission from an Auto LPG vehicle is also significantly lesser than CNG. Notable to mention here that NOx automotive emissions are majorly responsible for the lung ailments we see in our urban centres. And the low HC emissions, particularly, in comparison to CNG are key as well, particularly when we consider that CNG is Methane, a greenhouse gas. And finally, particulate matter emission in case of almost all gaseous fuels is negligible. 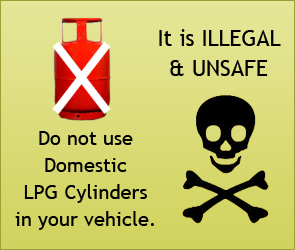 Supply security, which Auto LPG brings is immense. The world has been in an LPG glut for the last several years, ever since US- Shale production stabilized. This has resulted in international LPG prices dropping from about $1200/ tonne to about $400/tonne. On the global supply front, the security is huge, on account of cascading effect of the Shale gas finds in the US and East Africa. More than 500 Indian cities are covered with Auto LPG infrastructure today. Auto LPG typically costs around 50% lesser than the price of Petrol and hence, offers an extremely attractive and immediately available solution to vehicle owners. Running costs of Auto LPG are also cheaper than Diesel and comparable to CNG. Apart from being an extremely clean & economical automotive fuel, an Auto LPG station can be set up fairly quickly. Also the cost of Auto LPG conversion is about half of that of a CNG conversion. Also, the infrastructural costs and the time required to set up a CNG station network are simply incomparable to that of Auto LPG. A CNG station is set up after millions of dollars of investment into pipelines, which takes upto a decade or sometimes more, to put up. Whereas an Auto LPG Dispensing station costs just, about Rs 50- 60 lakhs and can be set up within a period of just 2-3 months, subject to receipt of the local approvals. Auto LPG is, really, the most compelling and viable option that our country has over any other futuristic cleaner fuel that may ever or rather, never come.